The Data center has become a critical element of most big businesses in order to house and protect their data. However, some companies still are not asking the right questions to make sure that they have the right data center provider. 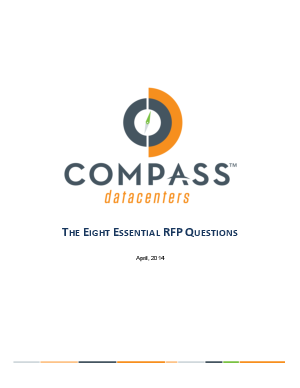 Download this asset to understand how the RFP process is critical for customers so that they can identify the data center provider who can best addresses their needs and see how you can meet all the needs of your organization.